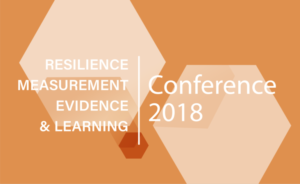 The first-ever conference of the Resilience Measurement, Evidence and Learning Community of Practice (CoP), with its sponsors and partners, will bring together RMEL innovators and experts from across disciplines, sectors and geographies; their common passion is generating robust knowledge which enables society to invest in paths to a resilient future for all. The RMEL CoP aims to strengthen the evidence base for resilience investments. The common adage, that what gets measured gets managed, informs this growing global network of 200+ resilience measurement researchers and evaluators. 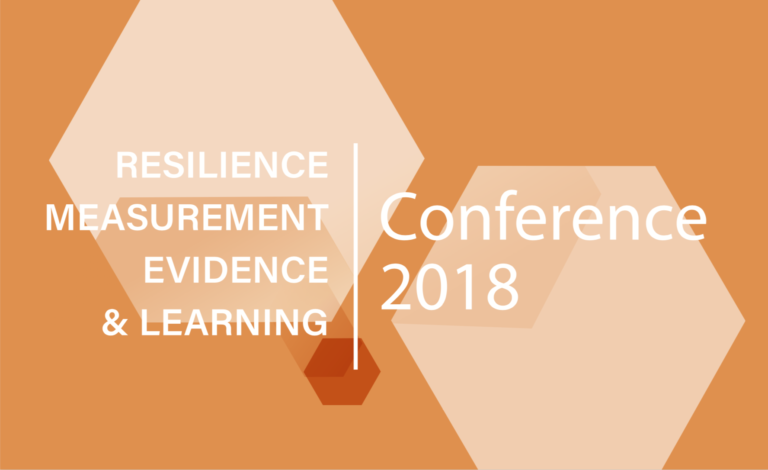 Join us at #RMELConf2018, where the programme includes panels on how to apply gender-sensitive MEL to promote inclusive resilience programming, and how to evaluate resilience programs in fragile contexts. The final day of the RMEL Conference 2018 will set a forward-looking agenda for RMEL, with a focus on how resilience measurement, evaluation and learning specialists can inform and shape high-level global commitments and investments in resilience. The day is co-hosted by the RMEL CoP with us (Itad), the Green Climate Fund, the World Bank, the Global Resilience Partnership, Mercy Corps and other partners.